Chicago, Illinois - Sciaky, Inc., a world-renowned provider of advanced welding systems and services, will showcase its innovative Direct Manufacturing (DM) technology and expanded contract welding services at FABTECH 2011, North America's largest metal forming, fabricating, finishing and welding event. 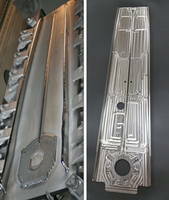 Sciaky's DM technology, which is based on additive manufacturing (AM) principles, is the only commercially-available, large-scale, fully-programmable means of achieving near net-shape parts. It utilizes Sciaky's state-of-the art electron beam welding equipment to produce production parts and functional prototypes at a fraction of the cost of traditional manufacturing methods. Starting with a 3D model from a CAD program, Sciaky's fully-articulated, moving electron beam gun deposits metal, layer by layer, until the part is ready for finish machining. 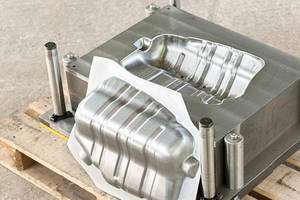 Depending on the part being manufactured, deposition rates can range from 15 to 40 pounds of metal per hour. Sciaky's DM, which is also referred to as Direct Digital Manufacturing (DDM), was recently highlighted in an October 24 article from Defense News that explains how the Department of Defense (DoD) is embracing this groundbreaking technology. In addition, Sciaky recently expanded its contract welding services to include a wider range of capabilities. 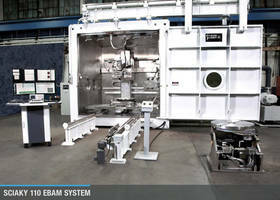 Parts and assemblies ranging up to 24-feet in length and down to the size of a tiny dime can now be affordably welded by the assortment of electron beam welding chambers available at Sciaky's Chicago facility. "No other welding systems manufacturer or service provider can offer Sciaky's depth and breadth of products and services," said Mike Riesen, General Manager of Sciaky, Inc. "We are proud to showcase these tremendous capabilities at a terrific forum like FABTECH." FABTECH takes place November 14-17 at the McCormick Place in Chicago, IL. Sciaky will be exhibiting in booth 7014. To learn more about FABTECH, visit www.fabtechexpo.com. To learn more about Sciaky, visit www.sciaky.com/. You can also follow Sciaky on Twitter at twitter.com/sciaky_inc, as well as on Facebook at http://www.facebook.com/sciakyinc. 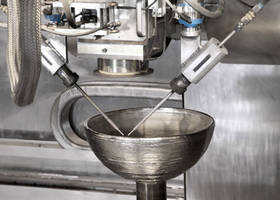 Sciaky, Inc., a subsidiary of Phillips Service Industries (PSI), is a world-renowned supplier of electron beam, advanced arc and resistance welding systems. 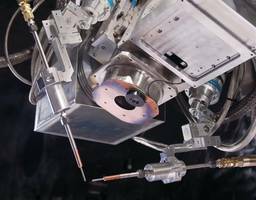 Sciaky also provides a wide range of contract welding services to the aerospace, defense, automotive, medical and other manufacturing industries. Our state-of-the-art equipment meets rigid military specifications to manufacture items such as airframes, landing gear, jet engines, guided missiles and vehicle parts. Sciaky's exclusive Direct Manufacturing (DM) technology, which is the only commercially-available, large-scale, fully-programmable means of achieving near net-shape parts, allows manufacturers to save money and boost productivity over traditional prototyping processes. Always innovating. Everywhere. Phillips Service Industries, Inc. (PSI) is a privately-held company headquartered in Livonia, Michigan. Established in 1967, PSI oversees a diverse collection of technology-based companies that serve a wide variety of industries, from automotive, aerospace and defense, to energy, medical and semiconductor. Our award-winning products and services help reduce costs and maximize efficiency for many Fortune 1000 companies, as well as the U.S. military. PSI pushes the bounds of technology on critical programs like Homeland Security, defense research and space exploration. Simply put: PSI is one of the most innovative manufacturing and service companies in the world.